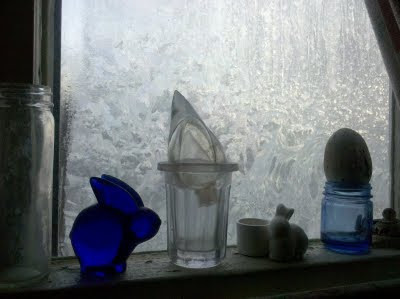 This photo of our ice crystal window is for my warm-weather friends who have been craving snow. We don't have much snow, but the temp is 15 F with a windchill of 0F. All of our old leaky windows are coated with beautiful ice crystals that look spectacular in the occasional sunshine.